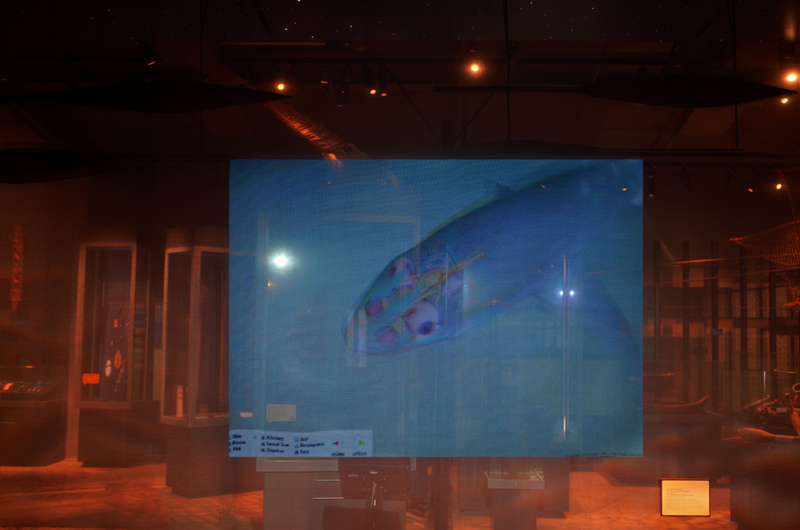 The image seen above is a computer model of a dogfish. 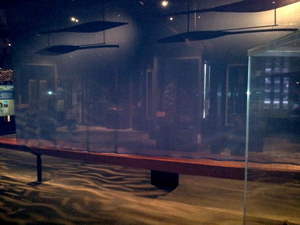 Within this model is it possible to see the skeleton and organs of the shark, including the apparatus which senses electromagnetic field. The field is important as the dogfish detects interruptions in electromagneticity which is a trigger for hunting. The shark also navigates by sensing the electromagnetic field. The inclusion of a work of science was predicated on an underlying theme of 3rd nature – the notion of integrated systems. The shark is integrated with the electromagnetic sphere of Earth, in a way the perhaps once humans were. Nature exists in an interconnected state, which is now fairly well understood in the West. This has been believed by many cultures to be true, for several millenia.